Here we shall look at some different way to play the guitar. Some of these techniques are basic and you are probably already familiar with them even if you may be unfamiliar with the terms. 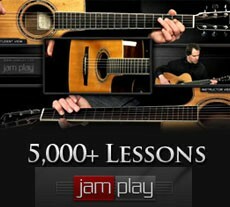 Others can be great for you to incorporate into your guitar playing to broaden your styles. 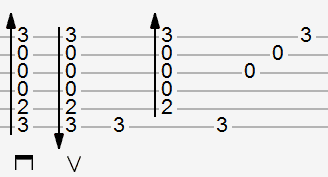 A first distinction in the area of guitar playing techniques could be between block chords and broken chords. Block chords are not used very often, but referring to pluck several strings simultaneously and potentially playing the whole chord or a larger part of it. This is not exactly the same as strumming, since strumming means playing several strings in a fast sequence, almost simultaneously. Broken chords on the other hand refers to playing the chords in parts, usually one or two notes at a time. Strumming is when you stroke several strings in a fast sequence, downwards or upwards. This is one of the most basic and common approach to guitar playing. When strumming we are either doing downstrokes or upstrokes. Another way is to play one or two notes at a time, often called picking. The three lowest (i.e. thickest) strings are played by the thumbs and the three highest (i.e. thinnest) by the fingers. When two strings are played in this way together, it is referred to as plucking. A third way is to combine strumming and picking. A common method is to first play the bass note in a chord and when strum the rest of the chord, or the whole. In the image to the right a tab is showing two strums, one downstroke followed by a downstroke. When you could see the chord played in two parts, the bass note followed by the rest of it. Finally, four notes are picked one at the time. This is a very common technique when the fingers are playing the strings. Finger picking are often referred to playing just one string at time in the opposite to regular strumming. Flat picking refers to a technique when you are using a plectrum, or a pick, for playing both melody tones and chords together. This is, as you might have guessed, a technique that combine finger picking and flat picking. The procedure is to use downstrokes with a plectrum and up strokes with the index and middle finger. A thumb plectrum is often used. Specific techniques with exercises can be found in the book Complete Technique for Modern Guitar. See also Cool guitar techniques.